We tested two approaches to forecast species distributions while balancing the impact of climate change against the inertia promoted by other influential factors that have been forecast as not changing. Given that mountain species are presumed to be more at risk due to climate warming, we selected an amphibian, a reptile, a bird, and a mammal species present in the Spanish mountains, to model their distributional response to climate change during this century. The climatic forecasts were made according to the general circulation models CGCM2 and ECHAM4 and to the A2 and B2 emission scenarios. We modelled the response of the species to spatial, topographic, human, and climatic variables separately. In our first approach, we compared each of these single-factor models using the Akaike Information Criterion, and produced a combined model weighting each factor (spatial, topographic, human, and climatic) according to Akaike weights. This procedure overestimated the best model, and the other factors were neglected in the combined model output. In our second approach, we produced a combined model using stepwise selection of the variables previously selected within each factor. In this way every factor was effectively represented in the combined explanatory model of the distributional response of the species to environmental conditions. 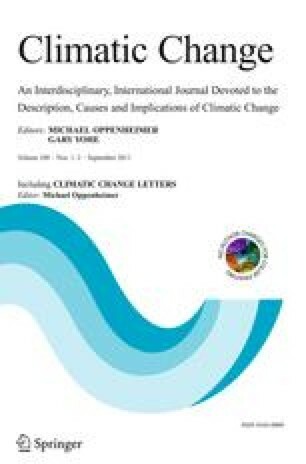 This enabled the construction of models that combined climate with the other explanatory factors, to be later extrapolated to the future by replacing current climatic and human values with those expected from each emission and socio-economic scenario, while preserving spatial and topographic variables in the model.